A distinct branch of the multi-faceted fishing industry, trawling dates back at least to the 1370s when attempts were made to prohibit the use of a primitive trawling device, the 'wondyrychoun' on the Thames. But it was not until the late 18th century that the beam trawl was deployed to any great extent, the fishermen of Barking and Brixham claiming credit for pioneering the technique. Thereafter, particularly from the 1840s, trawling eclipsed seining, drifting and line fishing as the principal method of capture, a transition which not only underpinned the growth of east coast fishing stations such as Hull and Grimsby, but also explained Britain's emergence as the largest and most successful of Europe's fishing nations. The rapid adoption of the steam trawler in the 1880s confirmed these trends and facilitated the exploitation of more distant fishing grounds. Two World Wars, a series of Cod Wars and intense foreign competition have eroded Britain's pre-eminence in the 20th century, so much so that by the early 1990s her interests in distant water trawling were negligible. The author adopts a largely chronological approach to chart the rise and fall of trawling in Britain. Using an array of primary sources, he identifies the key factors - growing demand, links with markets, technological change, political rivalries - which have conditioned the performance of the trawling business. A number of themes permeate the work, including the life and working conditions of the trawlermen, the place of trawling in the fishing industry at large, attitudes to the conservation of fish stocks and the role of government in the prosecution and prosperity of the trawl fishery. In dealing with such issues, the book provides a well balanced, thoroughly researched account of a vital arm of Britain's 19th and 20th century fishing industry. Robb Robinson is Curriculum and Staff Development Officer at Hull College. He has published widely on the subject of the fishing industry, and comes from a family heavily involved with maritime commerce. 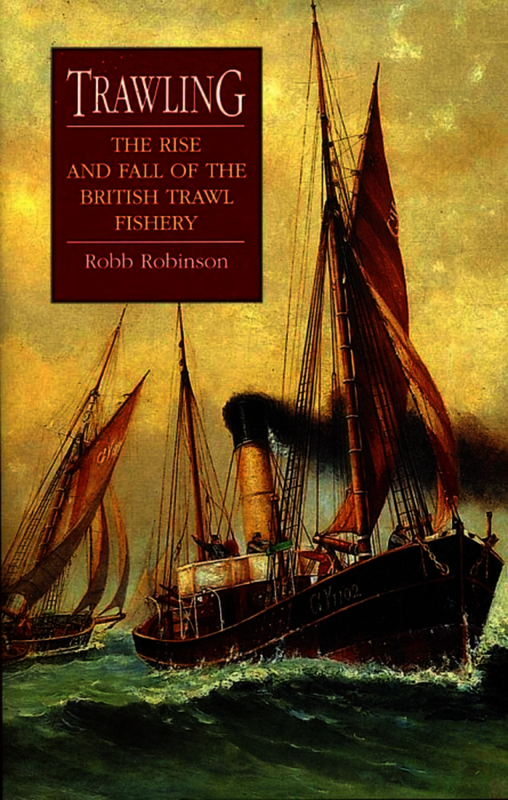 Robb Robinson ... has made an important contribution to a field that is only going to grow in importance ... Trawling makes a particularly strong mark simply in the way it conveys to the reader the everyday working lives of British trawl fishermen. We also gain valuable insight into the maritime trades that supported trawling. The objective, yet humanly transcendent, tone with which Robinson evokes the rigours and danger of trawling in ever more distant waters has seldom been matched by maritime historians dealing with this labour issue. There is a level of ethnographic authority in Robinson's narrative (possibly due to his family's longtime involvement in the industry) that soundly situates the reader in the trawlerman's distinct culture, from the benefits that accrued to being affiliated with a successful skipper to the struggles to achieve unionization among commercial fishing's rank-and-file... One can feel the rhythms of the fisherman's community in Robinson's commentary - time spent not only at sea, but in the home, in the pub, and on the docks. Indeed, Trawling is one of the few treatments of this maritime industry that acknowledges the significant role women played in a setting where men were frequently gone. Trawling further contributes to fisheries history by discussing the unique role trawlermen played as small-boat handlers in the Trawler Section of Royal Naval Reserve during World War I; the Royal Naval Patrol Section during World War II; and as ever-present lifesavers during peacetime. As can be inferred from Robinson's title, trawling's symbolism and tangible effect will resonate economically and environmentally for years to come. To this end, Trawling is commendable for its methodological, interpretive, and substantive contributions to the international community of maritime historians. This is not the final statement on the history of trawling but it is the most valuable contribution to the literature so far. It should be read by everyone who claims a say in fisheries policy matters and also as a case study of the rise and fall of a major industry under the special infliences of a common-property resource, governmental management and international law. Robinson's treatment is sufficiently academic to satisfy the specialist but also an absorbing read for the layman. Of all the most important industries and occupations, historians have paid least attention to fishing. Robb Robinson's book is likely to change this. It is an excellent pioneering study and opens up a vast field of new research opportunities. Robb Robinson is Honorary Research Fellow at the Blaydes Maritime Centre at the University of Hull.